Rub chicken with olive oil and mustard spread. 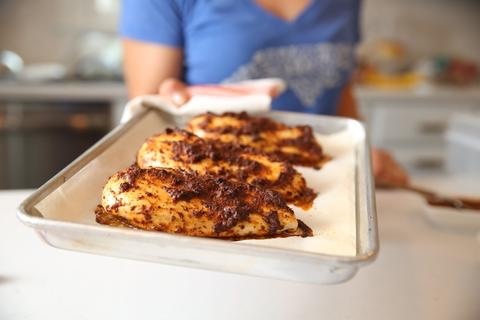 Lay chicken out on a sheet pan and roast for 20 minutes. To check doneness based on size of chicken breast, use a thermometer, when it reaches 160 degrees remove and rest 5 minute before slicing.